Today i felt like having some Chinese food for lunch – this is easy as the border is only 50km from here. 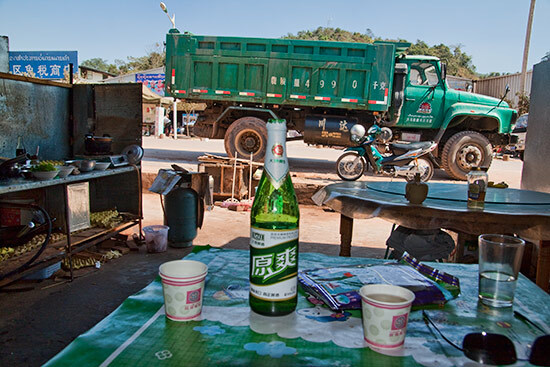 Went with my Chinese Honda copy to the border town – Boten – and – had a Dali Beer!! (great) and fried vegetables with rice. All for 1.70 € – i can not complain as it even was good!!! BTW i do Couchsurf in Luang Nam Tha.